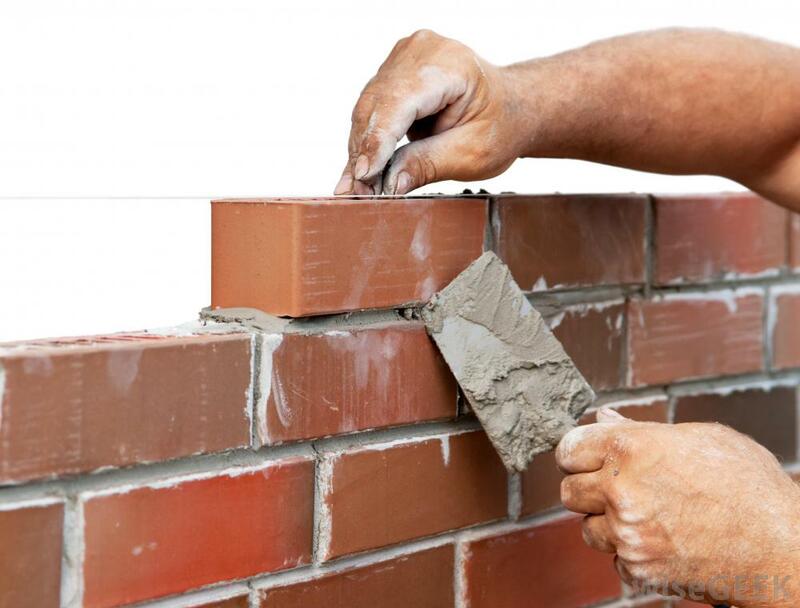 Masonry is one of the oldest methods of construction known to humans. Every country in the world has unique or historic structures that stand up because they were built of masonry. Masonry buildings particularly stone masonry are immensely durable to weathering and not easily damaged by physical forces. Reinforced masonry also resists the hurricane and seismic forces. 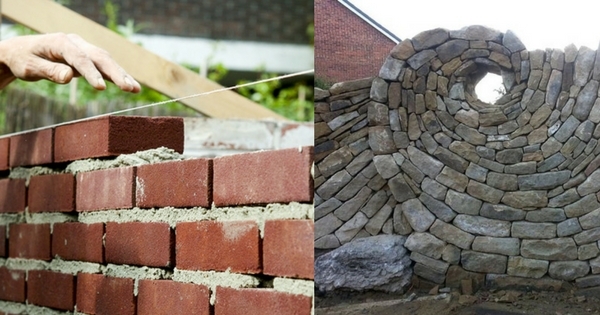 Masonry is the art of laying down various masonry unit i.e. brick, stone, concrete block etc. with mortar in sequence to get uniform member or element of building. As per availability of masonry materials and units, masonry is divided in following types. Also read: Adhesive or Mortar: What is cost effective to joint the AAC block? 03. One and half brick Masonry etc. And so on, so the next is two brick wall and then two and half brick wall etc. 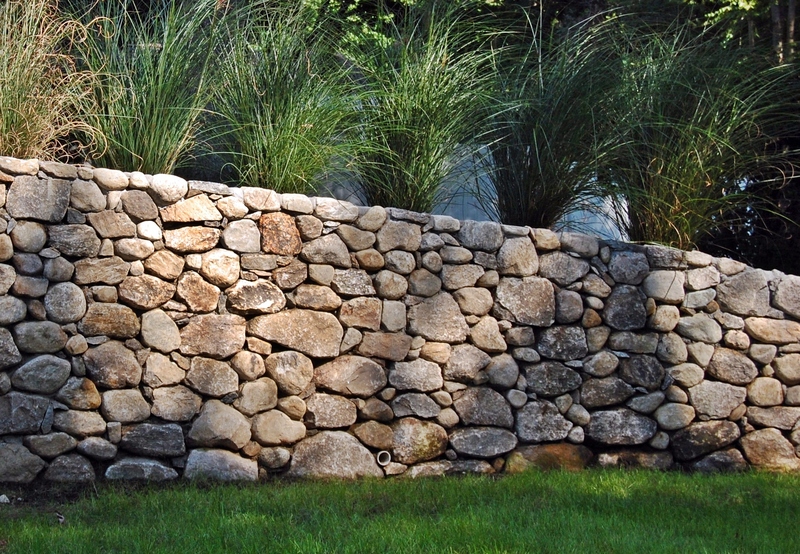 No any other construction material is as durable, strong, or weather resistant as stone. Stone is rarely affected by the normal day to day actions that leave wear and tear on other construction materials. Because of its durability, strength and ability to weather stone lasts for a long time. Stones depending upon their geological formations and have life from 300 to 1000 and even more years. Stone does not swell, bend, warp, splinter, or dent. Wind, rain, hail, sleet, and snow do not affect stone. Thus, due to its numerous advantages stone masonry is widely used. Basic Things You Should Know about Granite Stone. At most places, the locally available stones are used thereby making it economical. Brick masonry is done with burnt clay bricks, which suggests a certain quality of the unit and hence a good performance in compression. Though, even if a good quality mortar is used, the tensile strength is very limited. 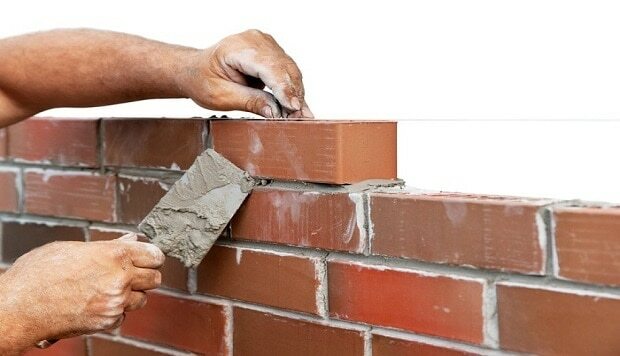 The size, position and number of openings will play a major role in the performance of brick masonry. 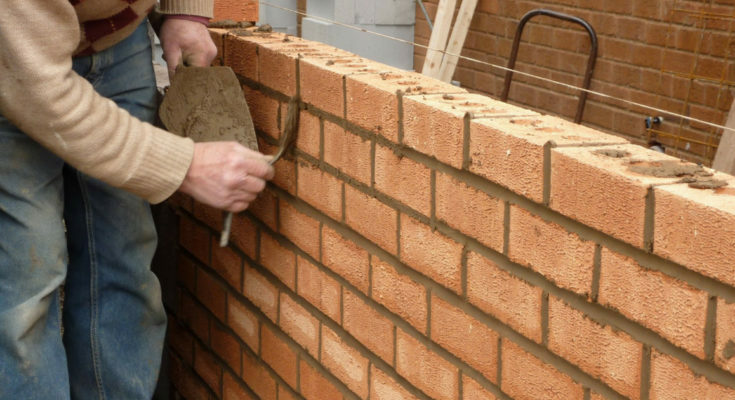 Read more about brick masonry construction and its precautions before constructing your house. It is comparatively a new material. Due to wide usage of clay for making bricks, which otherwise destroys the top fertile soil of the earth, the usage of blocks has become popular. 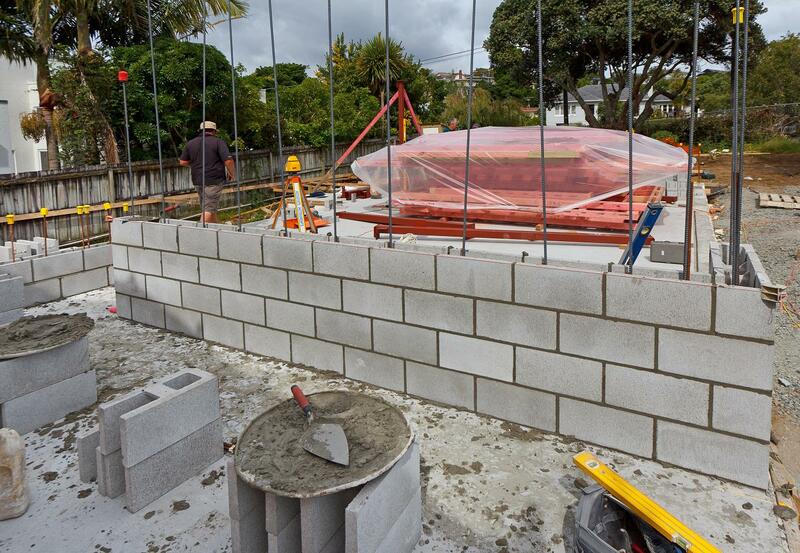 Solid concrete block masonry units are heavy in weight. They provide very good stability to the structure. They are manufactured in large size, so it takes less time to construct solid concrete block masonry than brick masonry. For large work of masonry like load bearing walls these solid blocks are desirable. As the solid concrete weigh more, leading to more need of steel in RCC structures, and as it also requires more manpower to lift it and put at certain height, therefore hollow concrete blocks have come in use which reduces the weight of the structure. It is used in residential buildings, schools, churches, and other public buildings. It is specially suited for low cost houses construction. These blocks can be manufactured into various shapes and sizes depending upon their use. Hollow block masonry unit is light in weight. Not much skill requires for hollow concrete masonry. It is a structurally stronger than bricks. It does not require plastering. Thinner walls are possible; hence it will give more carpet area. Dressing work is not required. Nos. of joints are less as hollow concrete masonry unit is large in size than conventional bricks. 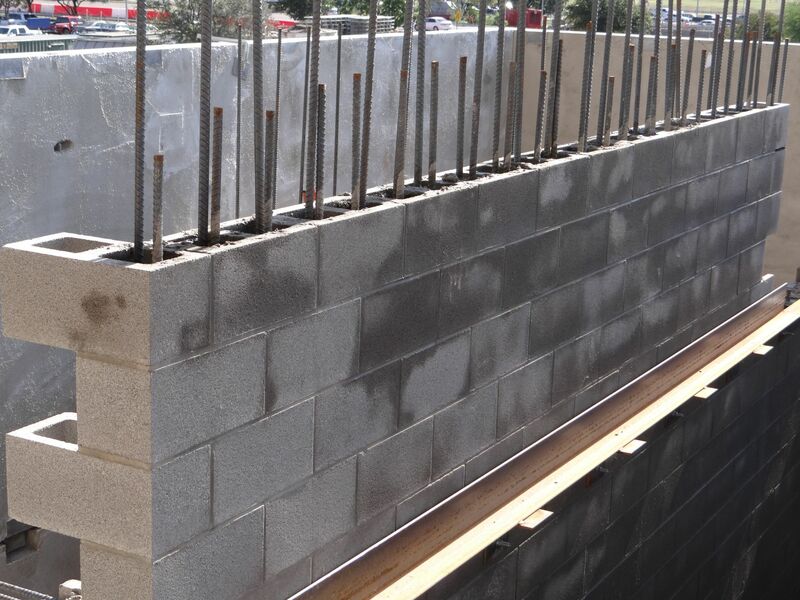 Autoclaved Aerated Concrete masonry unit is a lightweight, load-bearing, high-insulating. It is a durable building product, which is produced in a wide range of sizes and strengths. AAC blocks are three times lighter than red bricks. Larger size blocks lead to faster masonry work. It overcome the limitations of hollow concrete blocks particularly with respect to the concealed plumbing, electrical conduits etc. It uses fly ash and hence it is a green and environment friendly material. Veneer masonry is a favored choice for home building and remodeling, because it gives the appearance of a solid brick or stone wall while providing better economy and insulation. It can be used as an addition to traditional wood frame structures, and can be placed on concrete block walls. Depending on personal choice, it may cover an entire wall from foundation to roof, or it can stop at window sill level. Gabions are baskets, usually of zinc-protected steel (galvanized steel) that are filled with fractured stone of medium size. These gabions will act as a single unit and are stacked with setbacks to form a revetment or retaining wall. Gabions have the advantage of being both well drained and flexible, and so resistant to horizontal pressure, flood, water flow from above, frost damage, and soil flow. Their expected helpful life is only as long as the wire they are composed of and if used in severe climates (such as shore-side in a salt water environment) must be made of appropriate corrosion-resistant wire. Nowadays gabions are rectangular. In past gabions were often cylindrical wicker baskets, open at both ends, used usually for temporary, often military, construction. When masonry is constructed with two or more types of building materials is known as composite masonry. Use of available materials to obtain maximum economy. Reinforced masonry is a construction system where steel reinforcement in the form of reinforcing bars or mesh is placed in the mortar or placed in the holes and filled with concrete or grout. By placing reinforcement in masonry, the resistance to horizontal loads like seismic loads and energy dissipation capacity can be improved significantly. Reinforced masonry is stronger and able to resist lateral loading better than plain masonry. It also behaves in a more ductile manner than plain masonry, allowing for some deformation under load rather than brittle failure. 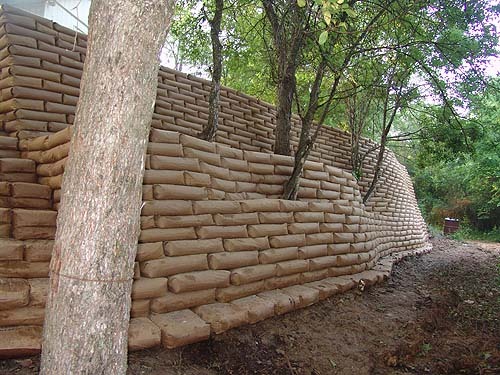 A low-grade concrete is placed in woven plastic sacks similar to that used for sandbags and then emplaced. The sacks are then watered and emplaced then becomes a series of artificial stones that conform to one another and to adjacent soil and structures. This confirmation makes them resistant to displacement. And then the sack becomes non-functional and eventually disintegrates. This type of masonry is used to protect the entrances and exits of water conduits where a road passes over a stream or dry wash. It is also used to save stream banks from erosion, especially where a road passes close by. Mixing of cement with sand and water will result in a paste more commonly known as cement mortar. The primary function of cement mortar is to combine varying sizes of masonry units for a smoother surface finish. Use cement mortar in confined places or areas where placing cement is not commendable. For its wide uses and benefits, as well as advanced masonry applications, cement mortar owes its strength and durability to its balanced and well mixed properties. It has higher water penetration qualities required for stronger masonry construction. Cement mortar gives compressive strength to meet the standards of a wide array of masonry and construction applications. Lime mortar is made of lime (hydraulic, or nonhydraulic), water and sand. Lime mortar today is generally used in the conservation of existing old buildings or the recreation of new ones using traditional methods. The porous and soft properties of lime mortar provide certain advantages when working with softer building materials i.e. natural stone and terracotta. While Portland cement continues to be commonly used in new constructions with brick and concrete, it is not recommended in the repair and restoration of brick and stone-built structures originally built using lime mortar. Lime mortar is more porous than cement mortars, and it wicks any dampness in the wall to the surface where it evaporates. Thus, any salt content in the water crystallizes on the lime, damaging the lime and hence saving the masonry. The first mortar was made up of mud. Hundreds of years ago, stone houses were originally mortared with mud. The result was a stone home was solid and warm and lasted for lifetimes. Mud breathes, and creates a wonderful warm atmosphere inside home in a way that concrete never can. Mud mortar isn’t as water resistant as portland cement, and it needs a roof over it to protect it from heavy rain. It also needs touching up every now and again. 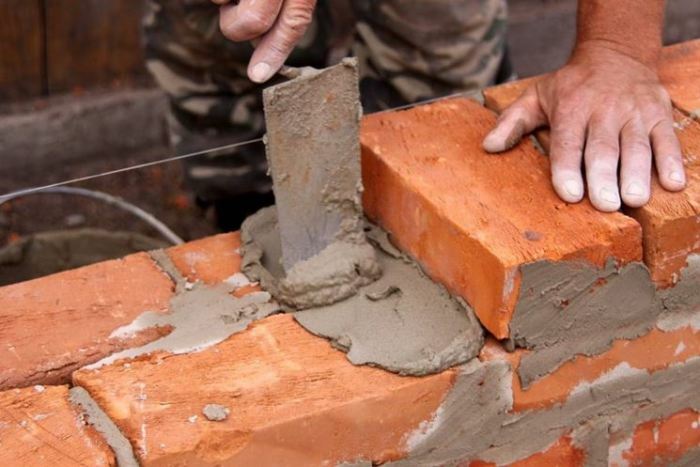 With using mud mortar cost of masonry construction can be reduced by 22%. Cement is a heat generating material. So, using mud or reducing the consumption of cement will make the masonry Eco friendly. This classification has been done based on the standard size of the bricks being used over the years, as bricks till date have been non-popular material for masonry construction. The thickness of stone/blocks walls would be different based on their size. However, 100 mm, 150 mm and 200 mm thick walls are popular in block construction. While, minimum thickness possible with dressed stone would be 23 cm (230 mm) and undressed i.e. random stone would be 35 cm (350 mm). One brick wall which is sometimes called a 9 inches/23 cm wall. One brick masonry is used as external as well as internal wall in building. Half brick wall which is sometimes called a 4 inches/13 cm wall. Half brick masonry generally used as internal wall in building. It rarely used in load bearing structure rather it cannot be. One and half brick wall which is sometimes called a 14 inches/35 cm wall. One and half brick masonry is used in foundation of building as well as for lower stories in building with more than 4th stories. Masonry have been known to last for hundreds even thousands of years. Over 70% of the construction in the world made of masonry. Masonry is growing in popularity in every part of the world. 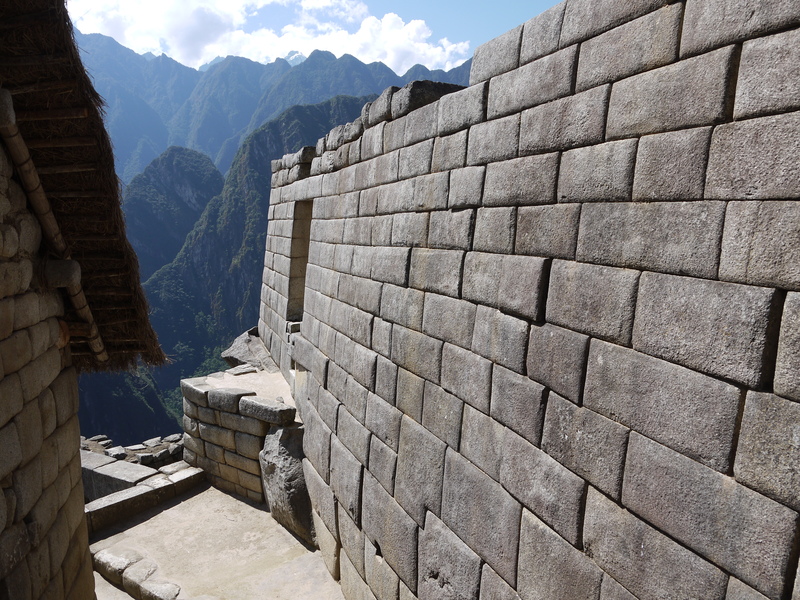 Many of world’s important monuments were built with masonry. Architects and builders choose masonry for its durability, beauty, and versatility. Previous PostPrevious 10 Outstanding “Vase Fillers” Ideas for Your Home Interior!